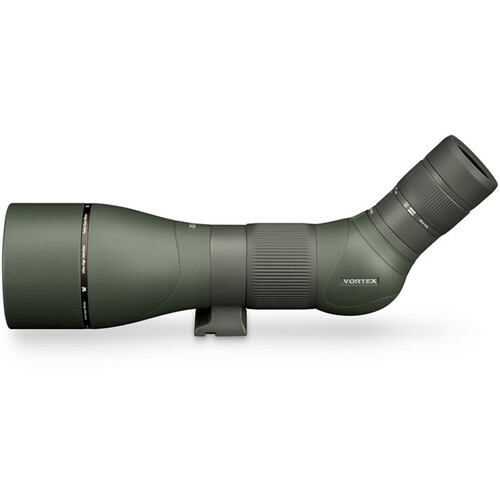 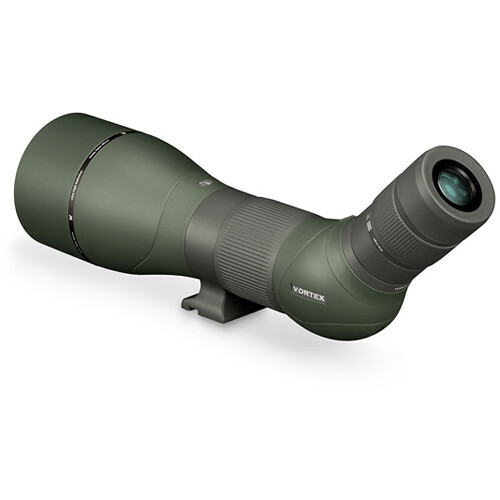 The Vortex Optics 45° angled viewing Razor HD 27-60×85 Spotting Scope is engineered with an oversized objective, superior glass and specialized optical coatings to provide clear and bright images at all magnifications and lighting conditions. 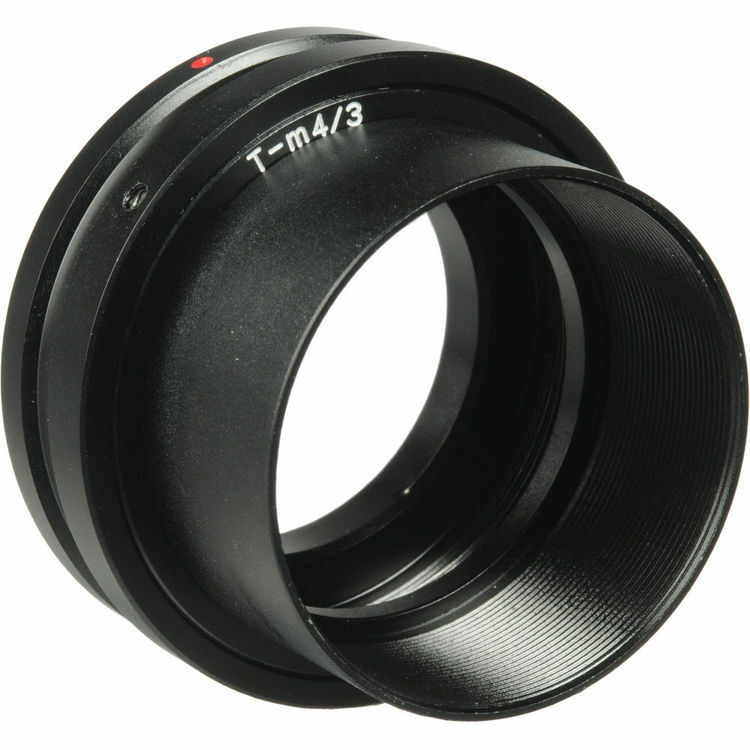 The triplet apochromatic lens is made of High Density (HD) Extra-low Dispersion (ED) glass to increase light transmission, minimize distortion and virtually eliminate chromatic aberration. 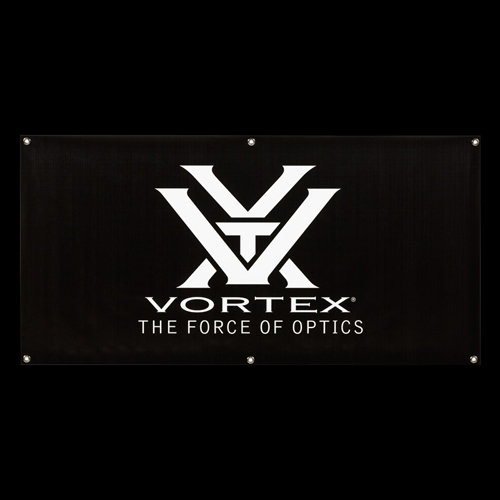 All air-to-glass surfaces have Vortex’s XRPlus anti-reflective coatings to minimize light loss and maximize image brightness, while the Porro prisms have highly-reflective dielectric coatings which improve brightness, clarity, and color accuracy. 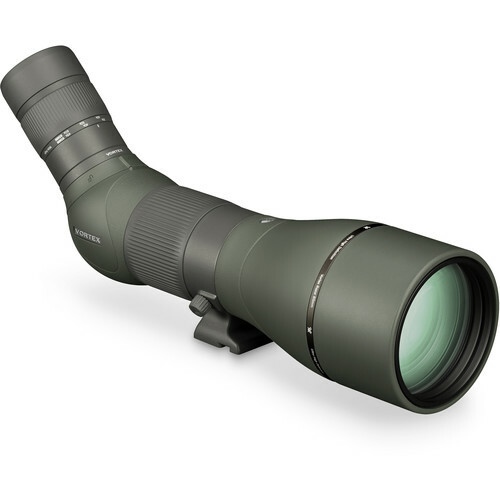 This combination of coatings and optics create a spotting scope that produces bright, clear, high-contrast images with accurate color rendition. 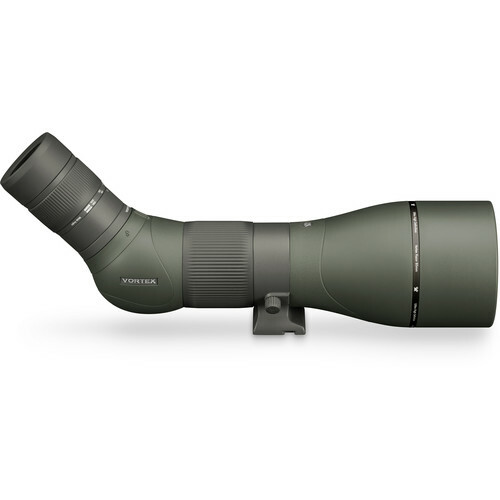 The lightweight and armored magnesium chassis is O-ring sealed and argon-filled to be water and fogproof. 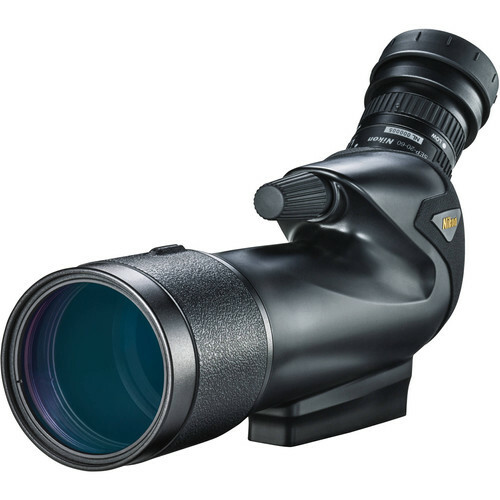 A helical focus system, with a wide adjustment collar, allows for fast yet fine focusing even when wearing gloves. 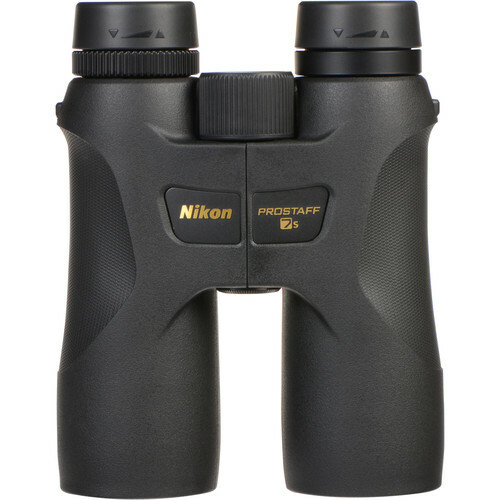 The scope has a 1/4″-20 tripod mounting shoe and a tripod collar that rotates to permit the eyepiece to be positioned in the best viewing position. 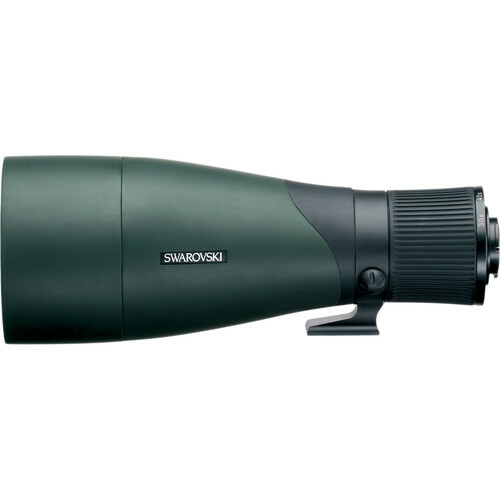 A retractable lens shade helps to reduce glare while keeping snow or rain off the objective lens.